Loyal little home seeks new owner and a bit of TLC! 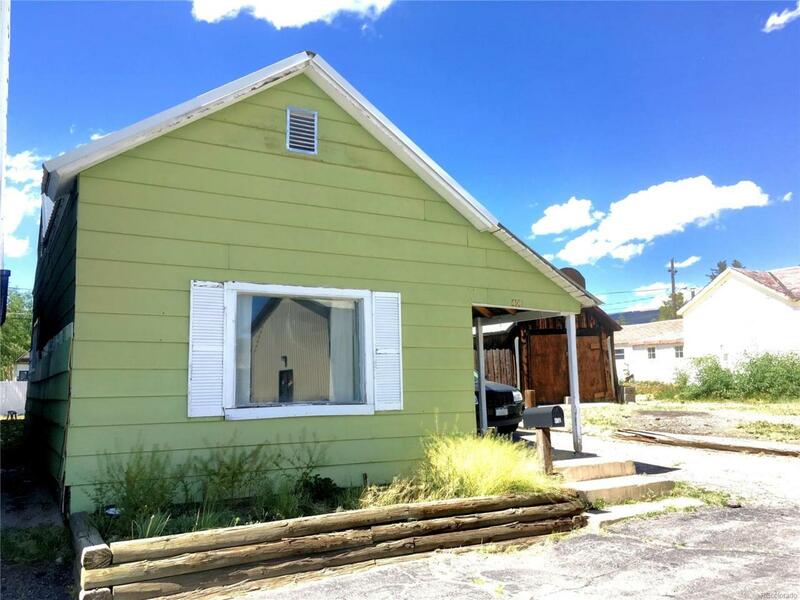 This property sits on 2 lots right in the heart of Leadville, just a few blocks from historic Harrison Ave with shopping, restaurants, and fun local events. Currently the front of the home is a long-term rental with 1 bed and a jack-and-jill bath, while the back bedrooms are used by the owner for storage and a workspace. This back part of the house has the potential to be a great lock-off apartment for extra income. Theres also a large unfinished basement and a great garage/storage building, which gives you even more space and possibilities. Come help this little home that could live up to its potential!